The UL Hospitals Group has confirmed an outbreak of a deadly superbug at the region’s main hospital. A number of patients have been isolated at University Hospital Limerick following the outbreak of CPE, and strict visiting restrictions remain in place. 21 new cases of CPE, linked to this current outbreak, have been detected since June and three of those patients are now in isolation at University Hospital Limerick. CPE can be contracted through contact with surfaces or people’s hands, but most people who pick up the bug get no symptoms or illness because it stays in their gut, and they become carriers. Once it infects the bloodstream, however, it can have a high mortality rate. 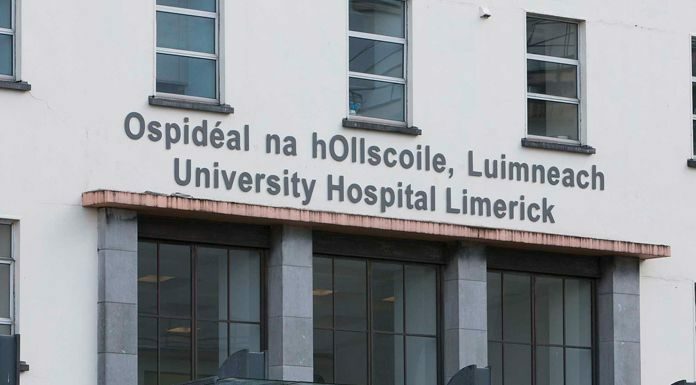 The UL Hospitals Group says all of the cases detected over the past three months were people who were carrying the bug and not infected with it. Management say all necessary infection prevention and control measures have been put in place, including screening and isolation of patients, as well as extensive environmental cleaning and decontamination. Strict visiting restrictions also remain in place there – only one visitor per patient is allowed during visiting hours only and children are banned from visiting the hospital until further notice. The first case of CPE in Ireland was detected at UHL in February 2009, and last year the UL Hosptials group recorded the highest number of cases in the country. In recent months, an independent investigation into the deaths of 74 people who contracted CPE at the hospital concluded, and the results have yet to be published. Screening protocols developed there have been the template for the development of national policy for the National Public Health Emergency Team on CPE, which was established by the Health Minister in 2017.